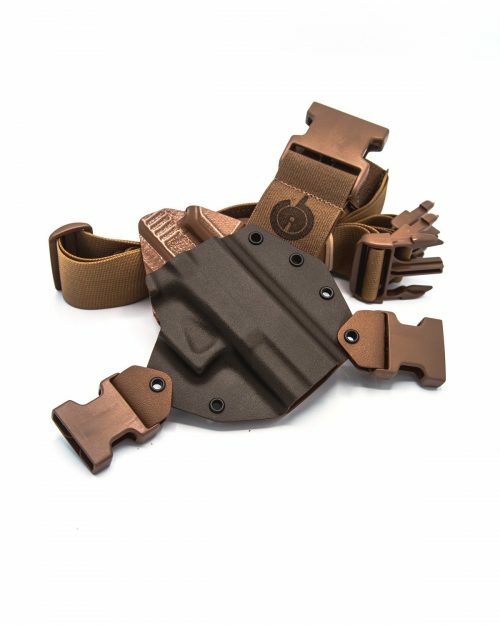 This holster fits Glock Model 29/30/30sf. Glock 20/21/40 pistols will fit in the holster but due to the slight differences in the frames, the fit is not as good as a holster specifically for the 20/21/40. This holster is built on our GEN 2 molds. This holster has an open end. The Kenai is a Kydex Chest Holster designed for hunting, fishing, hiking, backpacking and other outdoor activities. Learn more about the Kenai Chest Holster here. These holsters are in stock and guaranteed to ship within 3 business days of ordering. 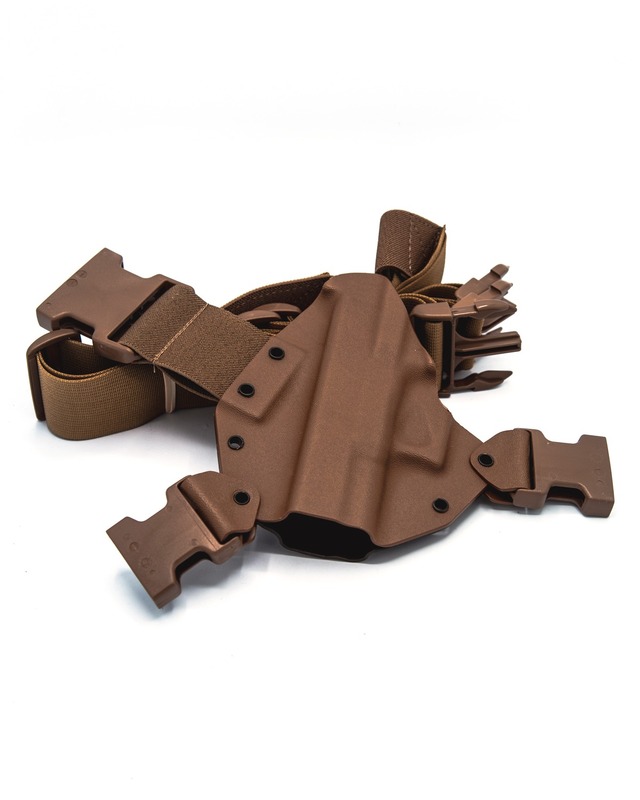 While not offering the same customization options as our Custom Kenai Chest Holster, our Ready To Ship Holsters are great if you want a classic looking holster fast. This is the Generation 2 Kenai Chest Holster, built on our gen2 mold. Generation 2 Kenai’s differ from Gen 1 in a few key areas. Rather than being pressed around a firearm replica, Gen 2 Kenai’s are Vacuum Formed around our own custom CNC molds. This enables us to fit a wider amount of model variances and makse for a more precise fitting holster. This also enables us to make the overall size of the holster smaller. The use of CNC also allows us to further control the aesthetics of the holster and makes for even cleaner lines that match that of the firearm. It also creates less bulky channels for sights, magazine releases and slide stops. Leaving you with a holster that looks good, fits great, and has perfect retention. The Kenai is the ultimate outdoor carry option – hand made by combat veterans right here in the USA.